Philosophy: A particular system or set of beliefs reached as a personal structure for life. Core Sense: That which you know and feel to be true for you, regardless of if you cannot or choose not to explain it to others. 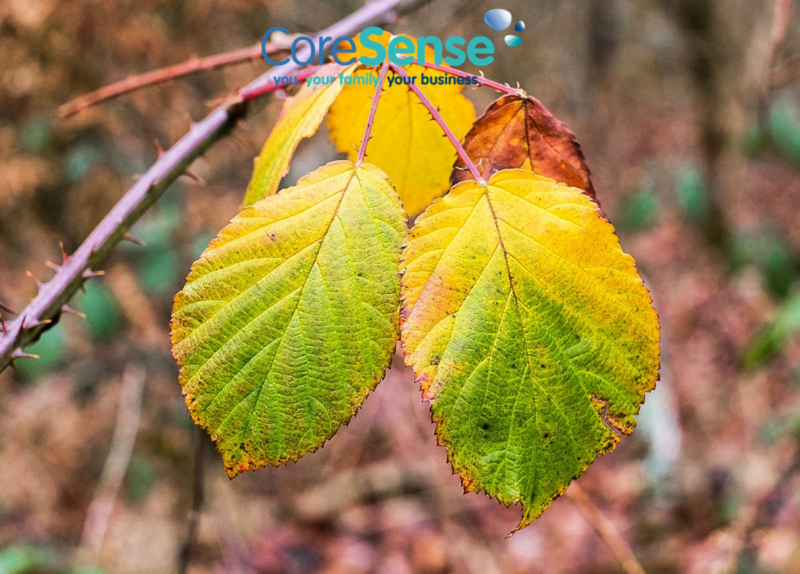 The philosophy of Core Sense evolved through my own beliefs, values and quest for understanding as I have experienced life. At the age of 16 I came across a book called “Empowerment for women” which I still have on my bookshelf. In my teenage world, there were many women in my life who weren’t fully empowered. I could “feel” their confusion, their pain, their resignation. Most of all I was acutely aware of the numbness that they had created to protect themselves. It was as if those who weren’t fulfilled by their lives and work had let their light dim; had ever-so-slightly disconnected with the world; had let go of their dreams and were subservient to the needs of their husbands and their families. I would meet my friends’ mums and talk with them. I listened to these intelligent, attractive women, and, without realising, was saddened as I saw their ever-so-slightly bowed backs and rounded shoulders; as I heard the slight hesitation in their voices; as I noticed the flatness in their eyes. At 16, I couldn’t understand it. Why would you let that happen to you? As I spent time talking to them, interested in what they had to say from a place deep inside of me, there was a flicker of life, an imperceptible increase in energy and a straightening of posture as they went about their day. When I met them again, there was always warmth, friendliness and connection beyond that of just being my friend’s mum. I was fascinated by this. Surely letting your ambition slip away wasn’t “right?” Surely, these women would want to change? Surely they could change? What I didn’t realise then was how easily this can happen, even in seemingly normal lives, never mind in lives where trauma has occurred. 30 years and a whole lot of life experience on, and I understand so much more. I understand how we box ourselves into corners, how we get stuck in situations and circumstances that we never intended to. In the 10 years of working directly with women and men who are disempowered I have supported them to find their self-respect again and to live life to the full whatever the circumstances. When I had my first baby, my husband and I had moved to a beautiful house in the country; we both loved our work and our social life. The plan was clear: we’d have the baby and after 6 months I would return to work. Life was good. But my son was born when I was only 6 months pregnant. I didn’t even know that I was in labour. I walked into A&E at 13.30 and gave birth at 14.22. My life was turned upside down in a heartbeat. Literally. My husband’s was too. We didn’t know if our son would survive, and if he did what state he would be in. After several hours, we decided to name him “just in case.” So began our parenthood journey: 5 hospitals in 6 months. 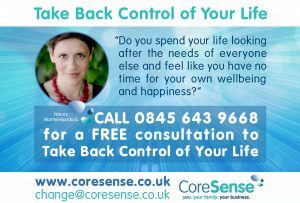 If you wish to hear more of this part of my story, please email change@coresense.co.uk and I will send you a 35 minute audio recording made as part of the Take Back Control of Your Life 2014 telesummit. He did survive. As I write this, he is 13 ½ and just about to break up from the end of Year 8 at school. He has a disability and additional needs and I am a registered Carer as well as his parent. To the outside world it looked like I was coping fine. At 18 months our baby came off oxygen. A month later our second son was born. Life continued. As any parent knows though, once you’ve had a baby, your life is never, ever the same again – whatever your circumstances. I felt my life slipping away from me, and I couldn’t accept it. What I didn’t realise was that if I had acknowledged it; if I had been able to say “This is the way that it is” and consciously decide how I was going to approach things now, then I would have made it easier for myself. I kept fighting inside myself. “This isn’t how it was meant to be.” I said over and again. What I just didn’t realise was that I was keeping myself stuck. Not only that but I was in a hole and I just kept digging. If only I had the structure of work. If only I had close friends nearby. If only I’d been able to finish my MSc… If only this, if only that. My light had gone out. I was in a situation that I wasn’t in the least bit prepared for. In my early teens I’d been clear that I didn’t know if I wanted children; and if I was to have them I was certainly not staying at home to look after them – I would go “mad” if that happened. No-one else could care for my son the way I could. We’d seen that early on. Now I had two boys and it only seemed right to give them both the “same experience” (another blog, another day to discuss how that developed that from the woman who didn’t have pain relief the second time because she hadn’t had it the first!) My husband was able to continue in his career – his employers were really supportive –and so he earned the money to keep the roof over our heads and food on the table. I was a Stay at Home Mum (a STAHM as I came to find out) and it took a few years, but I was indeed losing my mind, just as I’d predicted I would if I had to stay at home with small children – but the one making it happen was me. Not my circumstances, but the way I was reacting to them. I had no idea that this could change so long as I made a choice. I just felt bereft; low; useless; each year seemed to get harder and as time went on I found I couldn’t concentrate enough to read a book, even a magazine, I felt I had nothing to contribute to any conversation and I withdrew inside myself. Each day it felt like I was clinging onto my dream of what my life had been like before, what could have been – only it was more of what “should” have been, and still people on the outside thought I was fine. Inside I was crumbling, my confidence was shot to pieces and my self-esteem shattered. I had given birth and lost my identity. No longer Naomi, but x’s mum. In hindsight, I was depressed, suffering from adrenal fatigue and had no life left in me. Only now do I look back and see how so many of my friend’s mums ended up being trapped in their lives, by their lifestyles, either by being stay at home mum’s or by going out to work. So, the last 13 years have been a rocky road one way or another. Thank goodness my husband is who he is and has enough strength to have been a rock for me – even when he didn’t understand what was going on. When the boys were younger I was presented with an opportunity for self-development. I had no idea you could go on self-development courses outside of the employed world – because that was the world I knew and loved. NLP (Neuro-Linguistic Programming) specifically in the field of Health and Healing, was the course: “It’s either going to be the most expensive self-development course, or it could lead to a career that could fit around the children.” I explained to my patient husband. The training was called an “Experiential Training” and that meant that I experienced it as I learnt what to do. So, as I studied I indeed started to undergo my own self-development and little by little things surfaced. I began to address my own hitherto unknown fears, and such a lot of anger, guilt and sadness. By working with people for my case studies I started to develop my professional experience, and found that it built on my own personal experience. For some, that meant the deeply personal experiences I had been through gave me an insight into helping them with their traumas, such as difficult births, or children who were “always on the go”; clashing with loved ones, marriage issues such as problems with partners not getting involved in parenting, or difficulties with the “in-laws.” For others it was my professional background that was of use combined with the NLP skills that I now had – women and men hitting glass ceilings or falling out of favour in their careers; wanting to change direction but feeling stuck because of their earning power, or just simply running out of energy about it all. Some of my favourite areas of support grew up around helping other parents when they were struggling with their children’s schools and their children weren’t getting the support they needed. Fears and phobias were a particularly fond surprise – one of my wonderful clients went from having such a deep-rooted fear of driving that she hardly ever sat behind the wheel to driving a Porsche a few years later. I helped one gentleman improve his flying abilities “Best hang-glide EVER” was a text I will always remember. Working through the course and with all the people from the early days of case studies through all the clients I have seen in the past 10 years has helped me to become clearer and clearer about my approach to life; my philosophy has been refined as I’ve completed further training, read wellbeing books and parenting books and realised that the approaches can improve communication with spouses, work colleagues, indeed with anyone. As I continue to experience life’s changes and by my Continuing Professional Development I will continue to evolve my philosophy, to test it and stretch it and add to it as is necessary. 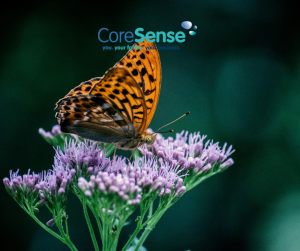 I hope you’ve enjoyed reading a little of my story and how the Core Sense wellbeing philosophy evolved into consciousness. Very few of my blog posts will be this long, but it felt appropriate to share all this with you today.